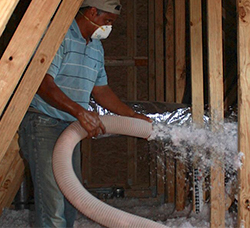 Does Your Home Need to Be Re-Insulated / Re-Blowed? If your home is more than 10 years old, we have found that these homes almost always have lower insulation levels that new construction code now requires. This means that we can help home owners save a significant amount of money on their utility bills, reduce their power usage, and increase the comfort level in their home. 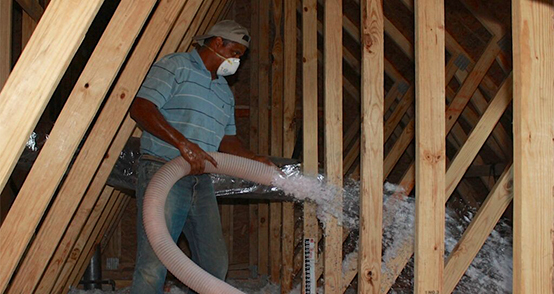 For homes of this age, For attics, we only use the highest quality fill fiberglass available. Here is what you can expect when you inquire about our attic “reblow” service. We will provide you a quick quote over the phone or come out to your home. We will do whichever is most convenient for you. We typically arrive at your home within 24 hours and re-insulate your home and go over any questions that you might have. You get to reap the benefits month after month!